Here at Auto Evolution we strive to give our customers what they want at an affordable price. Part worn tyres are getting more and more poular as times get harder and harder. we are offering a large selection of quality tyres sourced from europe where the tread depth wear is a lot higher than in the uk not from crash damage cars as some people sell. If you are looking for a more cost saving way of buying tyres for your car or van and doing your bit for the enviroment then why not fit part worn tyres. These can be supplied and fitted at our garage in Blyth for as little as £15. We supply all the well known brands such as Goodyear, Pirelli, Michelin, Continental and Dunlop. We can also supply part worn winter tyres. Dont get stuck in the snow again this winter give us a ring and order your winter tyres now before the rush. Winter tyres are a great way to get around in the winter they really do work! 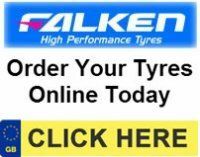 For great tyre prices please contact us on the the telephone number or email address provided in the left hand column of this page.